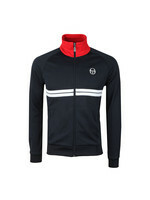 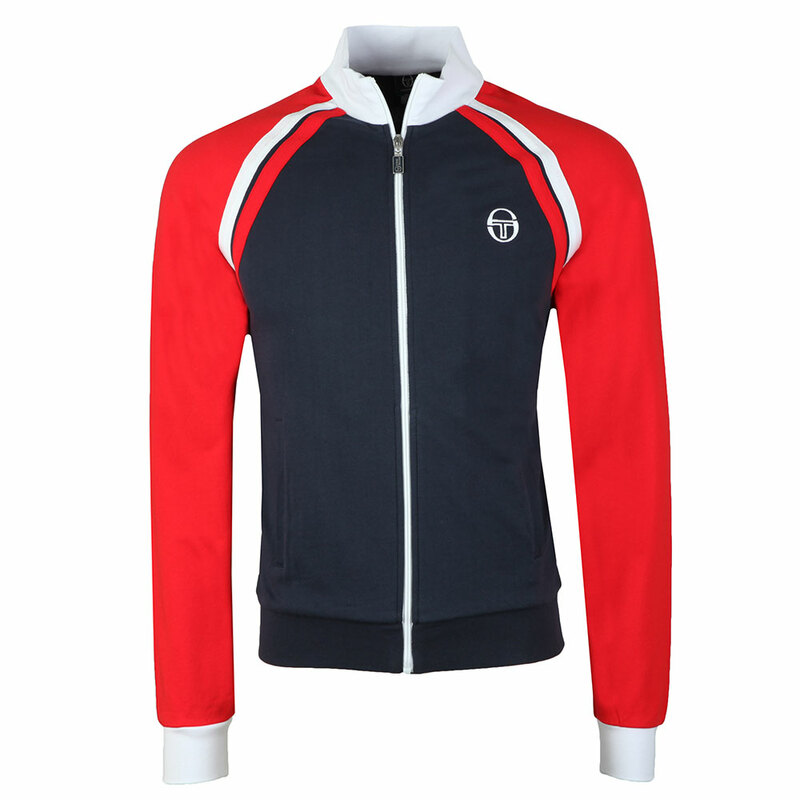 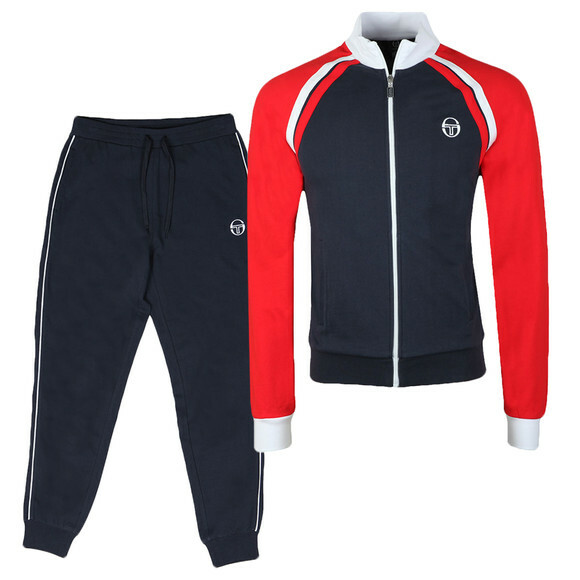 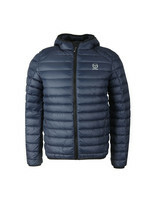 The Sergio Tacchini Ghibli Tracksuit in Navy/Red has a stand collar and full zip closure top. 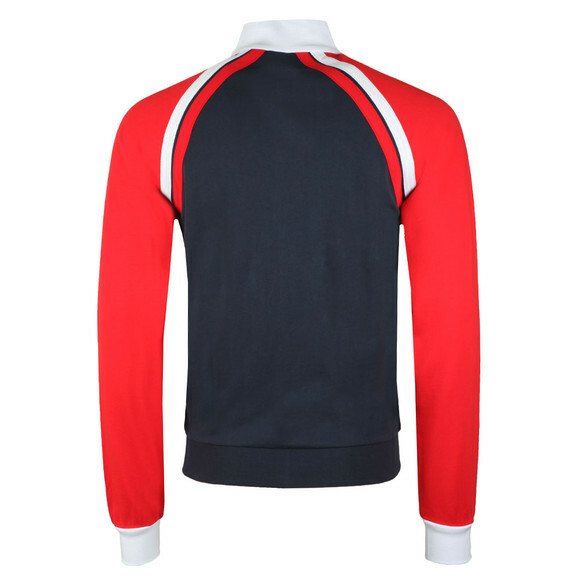 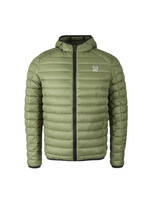 The top also features contrast coloured sleeves with fitted cuffs. Pockets have been added on the waist and an embroidered logo on the chest. 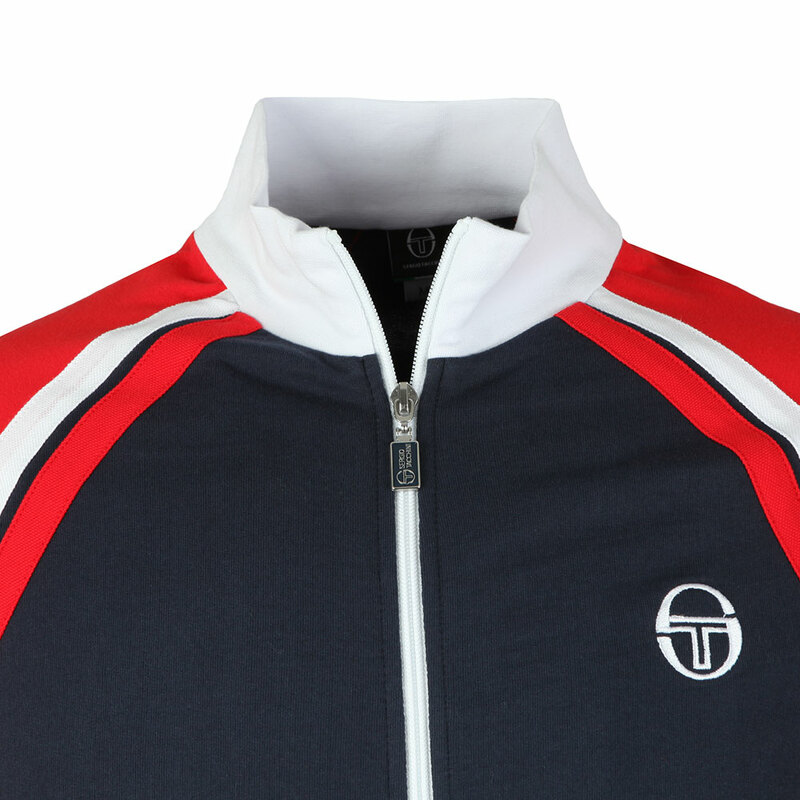 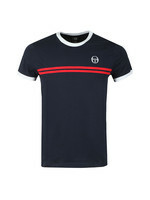 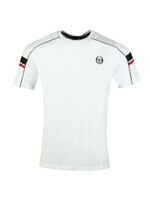 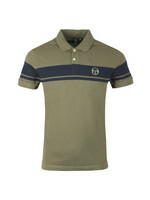 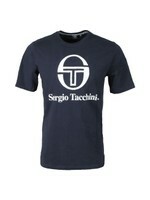 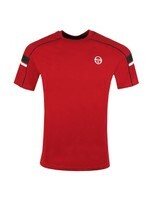 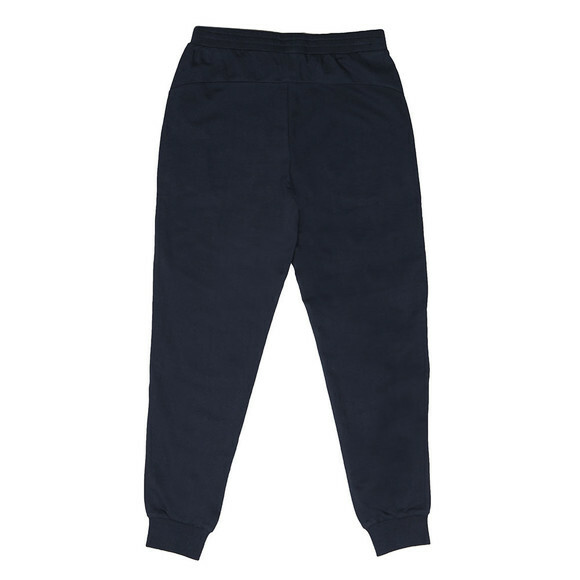 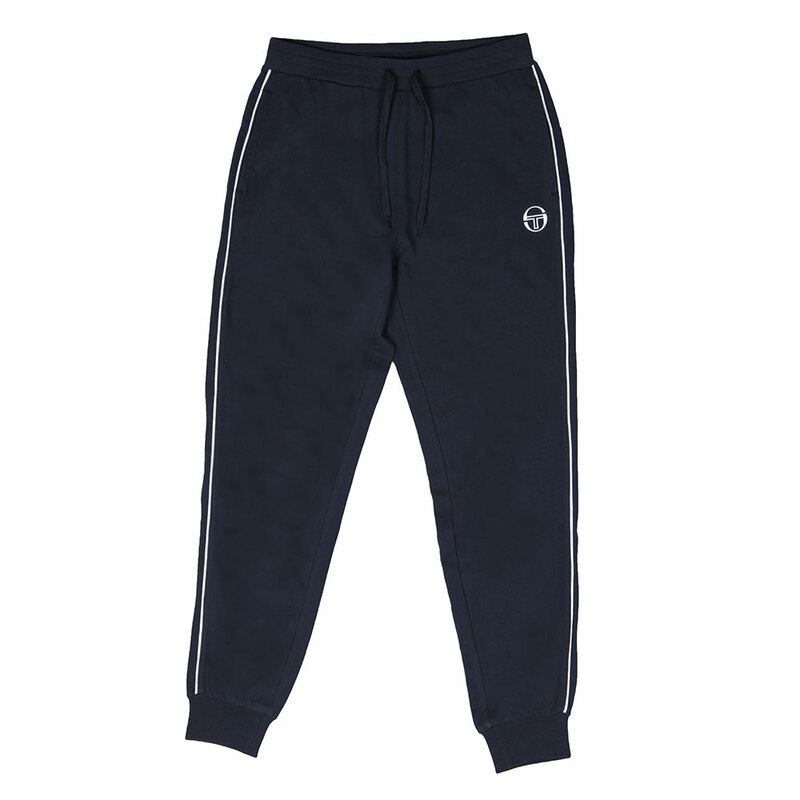 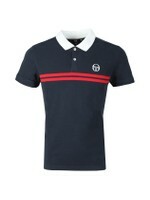 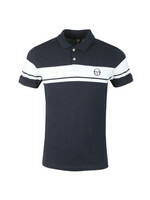 The trousers have fitted ankle cuffs and hip pockets and are finished with an embroidered Sergio Tacchini logo.